A few panoramic shots, mainly from the Alpine Visitor Center. 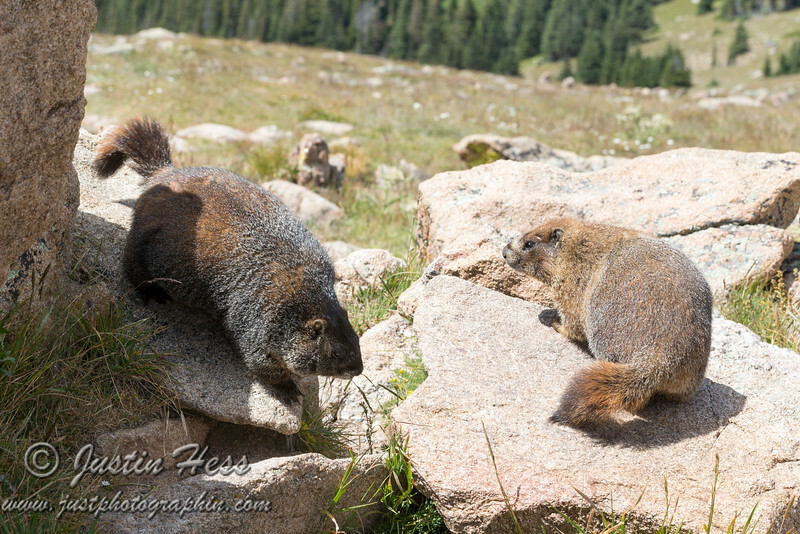 These two marmots were being a little feisty. The larger, darker one of the left was chasing the smaller, lighter one on the right for some reason.